This is a Three-Part Program which is designed to move you through each level of Reiki and provide a full understanding of what Reiki is; how it works; how to interface with it; what each symbol is used for and how to work with the symbols. In addition, it will take you beyond that in that we will work with and interface with many different methods of energy management, connection and consciousness.. Classes will meet once per month via Zoom and last 3-4 hours depending on topic. Courses will include text support, plus assignments to be completed between sessions. Working with the energy – how to handle it and different ways to use it. Setting up a Practice – Tools, Space, Marketing, Client Care, etc. During Months 1-3, you will be practicing Hands On Reiki. During months 4-6, you will be practicing Hands On and Distance Healing. ​During months 6-9, you will be working with the Master energy and will be a trained Reiki Master Practitioner and Teacher. Born with natural intuitive and empathetic abilities, Kim thought nothing of the otherworldly experiences she had as a child, only realizing later that not everyone was playing with the nature spirits and occasionally talking to people who were no longer on the planet. In 2004, after years of suppressing her natural inclinations and abilities, she signed up for a series of Reiki classes, which helped her find her way back to her gifts and natural abilities. Since then she has treated hundreds of people, animals, places, and things using both hands-on and long-distance healing and witnessed many beautiful and amazing miracles. 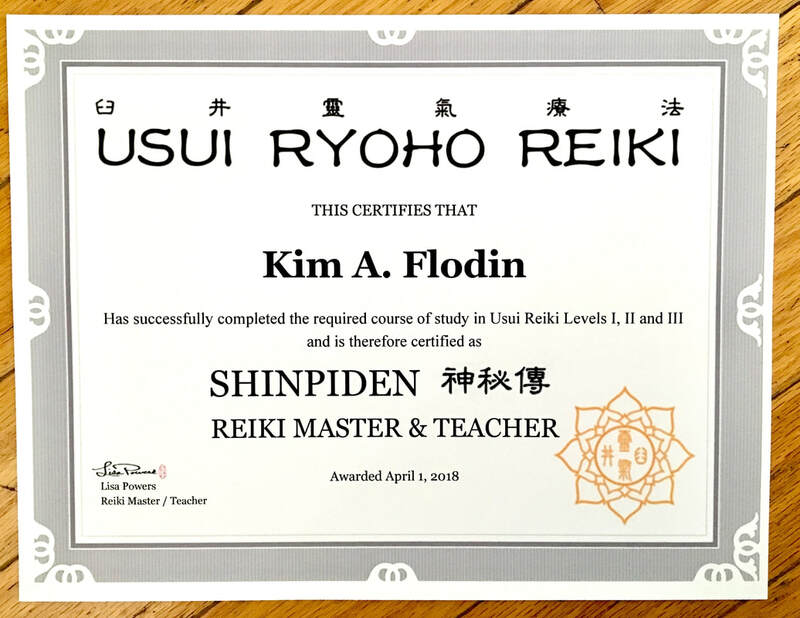 In 2018, she was called to teach and gained her Reiki Master & Teacher status.